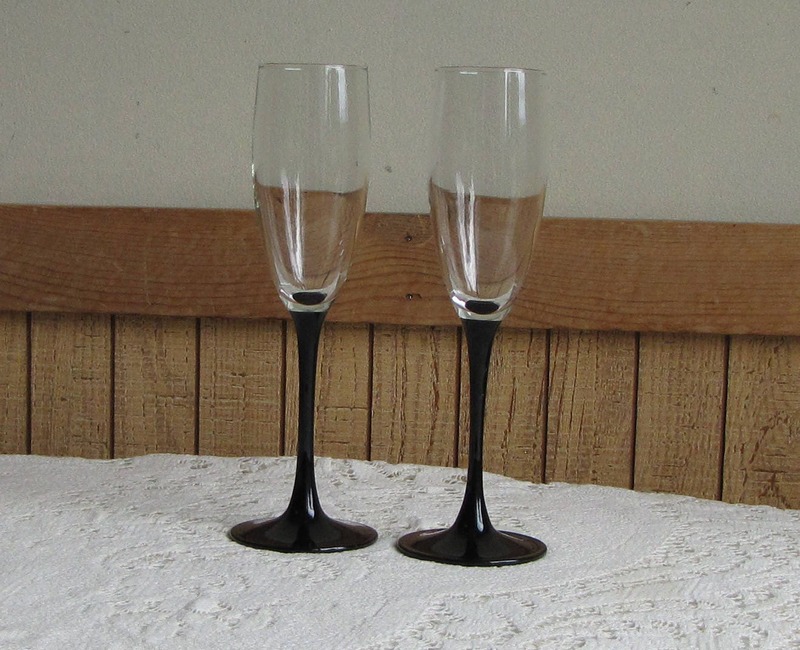 This listing is for a pair of Cristal D’Arques-Durand black-stemmed champagne flutes. 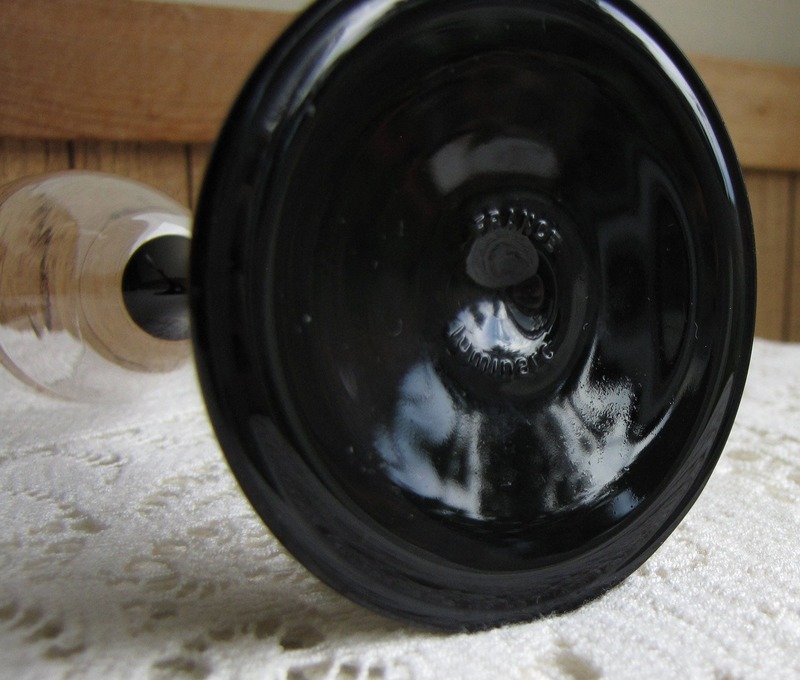 The pattern is called Domino Signature Black. 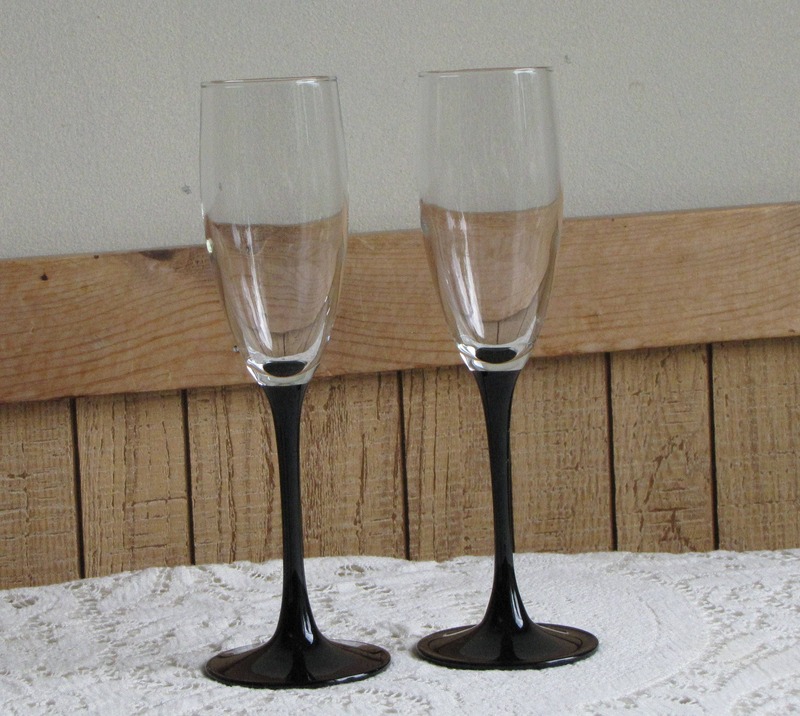 The words, “Luminarc France” is imprinted on the bottom of each flute. 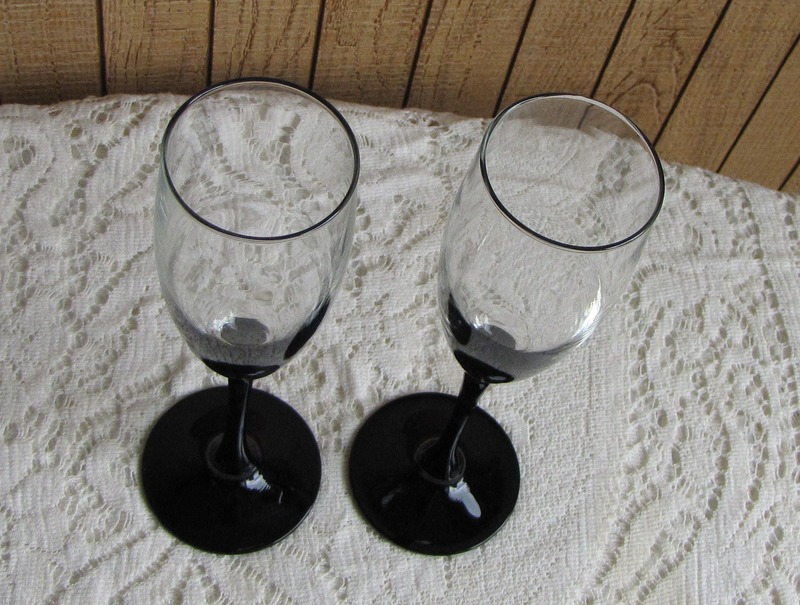 The glasses are in very good vintage condition with no chips or cracks; hardly a mark on them. 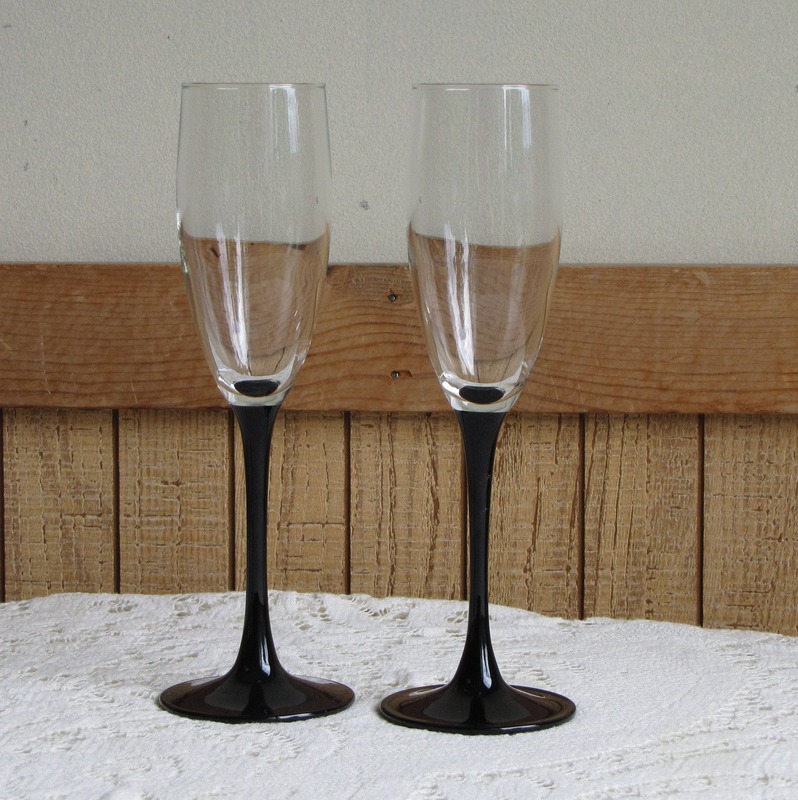 The champagne glasses measure 8.5 inches tall and 2 inches in diameter at its mouth.